A group of gangsters dress up as Elvises and enter the Riviera Casino in Las Vegas. Hardly anyone takes notice, because the group seems to be part of the annual Elvis look-alike contest held on location. But the gangsters are here to collect money… and a lot of it. In a daring heist, they enter the money room, and quickly make off with over 3 million dollars. But before long they are entangled in a deadly shoot-out with Casino security, and everything goes downhill from there. The leader of the group (Kevin Costner) quickly makes sure to get the most out of the deal when his partner (Kurt Russell) steps in. A fight over who gets the money ensues that gets bloodier with every mile they take. Warner Home Video is presenting ’3000 Miles To Graceland’ in a 2.35:1 widescreen presentation that is enhanced for 16×9 TV sets. As expected, the transfer is of pristine quality without any blemishes. Colors are very rich and well saturated, but never bleed, bringing the vibrant imagery of the film to glorious life – especially the time-lapse photography is very cool. Blacks are very deep and solid, and shadow delineation is very good, leaving all the details fully intact. The compression is also spotless, creating a truly impressive video presentation for this movie. Things are just the same in the audio department, where a massive Dolby Digital 5.1 channel mix rocks the house. Very aggressive in its surround usage, the audio track has a very wide frequency response and makes very frequent and effective use of the LFE channel. Booming explosions, and hard-hitting gunfire from all directions are a trademark of this audio track and the DVD fully delivers. Occasionally dialgoue is drowned out by the bombastic effects and the music but for the most part it remains intelligible and enjoyable. ’3000 Miles To Graceland’ is another entry in the current-generation ultra-violent films and as such I found it quite gratuitous in its graphic depiction. The film has a good story, but much of it is sadly ruined by the pseudo-macho-acting – here we have Kurt Russell in what is probably the weakest performance of his career – and the blood-splattered images. 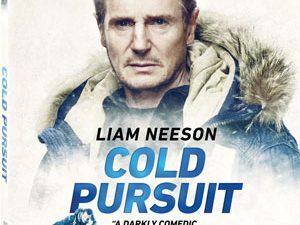 Call me square, but I am having an issue with idolizing murderers who kill on sight without second thoughts, and I am having trouble rooting for such despicable characters, even if they are played by Kurt Russell and Kevin Costner – which seems like a dubious career-choice to begin with. Orgiastic violence with a few unexpected plot-twists and a questionable message, that’s what ’3000 Miles To Graceland’ is to me.